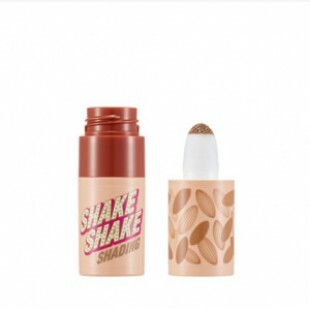 The liquid Shake Shake Cushion Shading sculpts the face with its natural shade for a slimmer look. Blended with Apricot extract and Palm Seed Butter, it glides on face smoothly without caking. With the built-in short tip, the pigment can be easily applied for nose and cheek contouring.